"To us, our guests are the most important. We love to really connect with our guests, to give them a warm welcome and make them feel at home. After all, we want to see them leave our hotel with a smile in their eyes!" Whether it’s a brief getaway with your loved one, a city trip or purely for business: one thing is for sure, they’re all excellent reasons to come and explore this charming city. We completely understand that you want to come and see this city which they call “Little Amsterdam”. 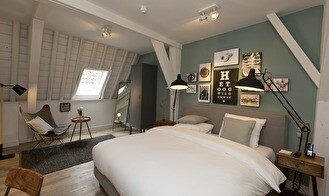 When staying at Eye Hotel you’ll experience the city like a local. We are situated right in the heart of Utrecht, just off bustling Voorstraat. This means all of the great hotspots are right on your doorstep. Close to Amsterdam, just a 20-minute train journey! 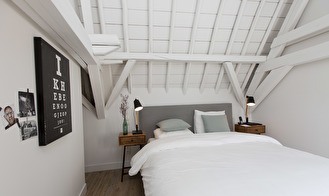 The smallest and cosiest rooms have a lot of old-style elements such as the original ceiling beams. These rooms are ideal for a romantic getaway or for business travellers. Our Medium Rooms are all uniquely designed. Some come with a patio and others with great views. 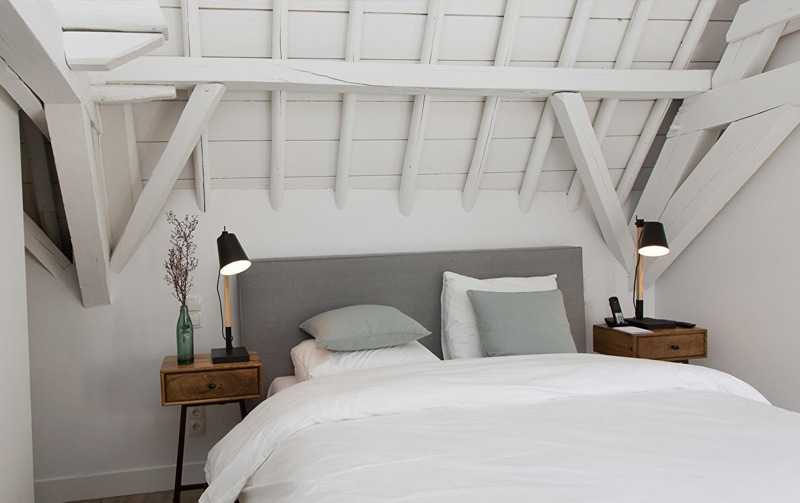 These rooms feature two single beds or one double bed. Super comfortable ones of course! Perfect for those who simply prefer more space, our Large Rooms have beautiful high ceilings, large windows and some come with great views of the historical city centre. Without a doubt our 'eye catcher'. When we first encountered this room during the refurbishment we knew right away that this would be the one and only Suite at Eye Hotel. Beautiful and spacious, featuring: high ceilings, large windows and a jaw-dropping bathroom with bathtub and double shower. It could very well be that you'll never want te leave again. 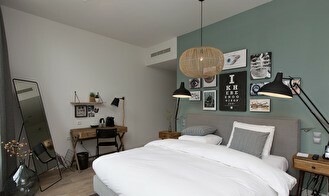 Our two fully equipped Family Rooms are perfect if you want to explore the city as a family, a unique opportunity in a city such as Utrecht. There is plenty of room for all of you: these rooms come with all the comforts you and your little ones will need during your stay. A boutique gem in the heart of Utrecht! 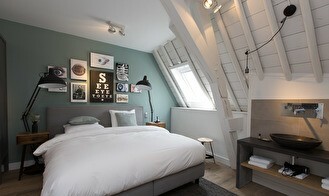 Good: This property is a really nice boutique hotel in a fantastic location in Utrecht. There are many great restaurants nearby, and this city is a great mini Amsterdam...fun to walk around and wander. Today I was steps away from the fabric market just outside the hotel and the flower market was a five-minute walk. Bad: The WiFi was not consistent and took many attempts to log in, but eventually it worked. Good: The location in the city center is perfect! Utrecht is one of the oldest cities in the Netherlands with its very own unique character. It’s a city full of charm with its medieval city centre, beautiful canals with their characteristic wharves, churches, monuments and the iconic Dom Tower. The must-see attractions of Utrecht are endless: it’s impossible to get bored. With Utrecht at the centre of the Netherlands, it’s easy getting to other cities such as Amsterdam, which is under half an hour away. Fancy reading more about the hidden gems of Utrecht? City of the Dom Tower: the Domstad. Experience the best this city has to offer when staying right in the heart of it. 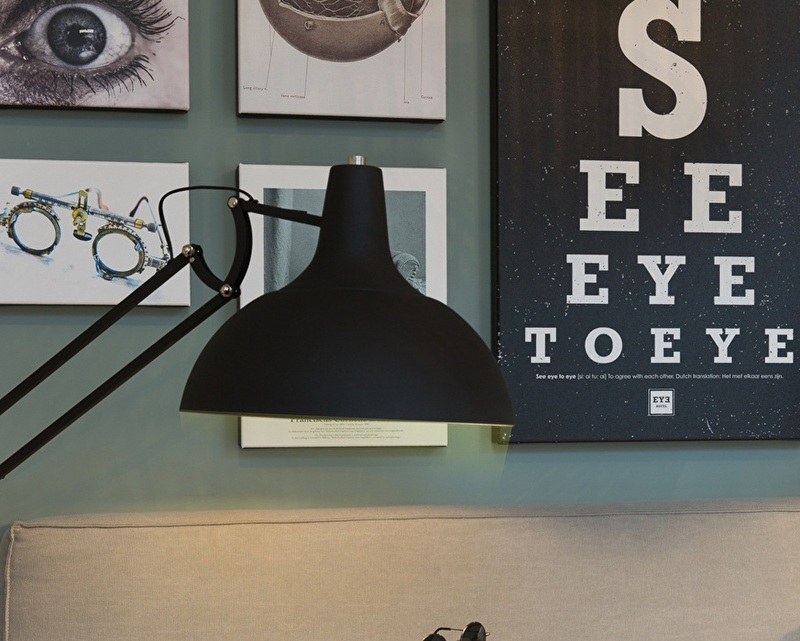 At Eye Hotel we have our eye on a lot of things, but we truly focus on you as our guest. Whatever the reason for your visit, at Eye Hotel we want you to experience the city as a local. But most of all, we want you to see the beauty this city has to offer with your very own eyes! 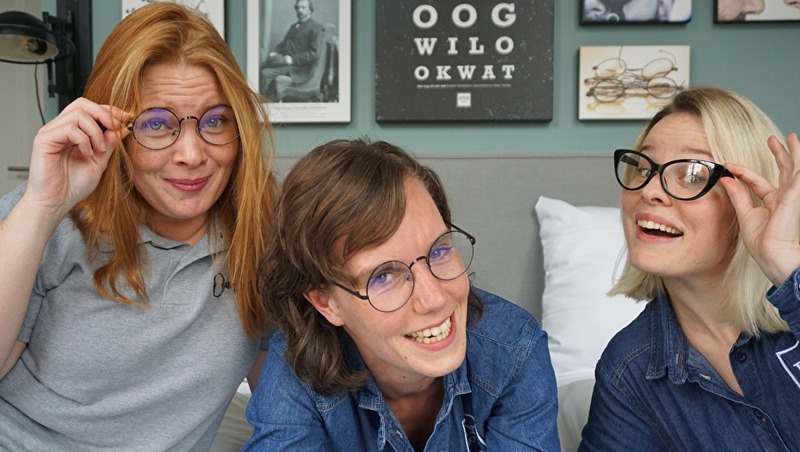 Utrecht City Hotels is the key to quality concepts, all with a real Utrecht identity, unique, special, authentic, transparent, down to earth and full of warmth and passion.